What does Liposuction, Lipofill and Liposculpture Do? Liposuction, lipofill and liposculpture are techniques used to address unwanted, disproportionate deposits of fatty tissue that do not respond to diet and exercise, as well as fat graft areas to augment soft tissues and create contours and volume. These procedures safely remove the fatty deposits to create a smoother and more balanced body shape. Liposuction may be suitable for patients looking to reshape or contour certain parts of their body, including the abdomen, hips, flank, outer and inner thighs, ankles and knees. Men may find liposuction to be an effective treatment for gynaecomastia, or male breast enlargement, as well as for facial jowls and the appearance of a double chin. While similar in technique, liposculpture differs slightly in that it typically removes less fat than liposuction and aims to re-shape the remaining fat to create a more toned appearance of the muscle area. Lipofill – also known as fat transfer or structural fat grafting – is a technique where fat tissue is removed from one area of the body and transferred to another area as a fat graft to add volume. The fat works as a permanent filler and is harvested using modified liposuction techniques. These surgical techniques, whether used by themselves or together, can restore body proportions, creating a slimmer and more toned appearance. Many patients choose liposuction, lipofill or liposculpture to boost their self-confidence – whether it be when wearing clothes or in swimwear and underwear, or to create more balanced body proportions. 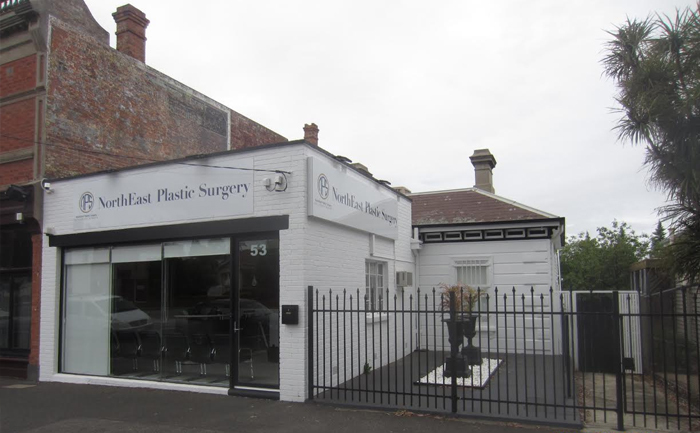 Your initial consultation with a surgeon will take place at either our private consulting suite in Windsor, Coltham Private Hospital in Kew, Wyndham Clinic or our practice in Essendon. At this consultation, your surgeon will determine your expectations and identify potential constraints to achieving those. The extent of surgery required: How much surgery you require, and how much can be safely performed to produce the desired results will differ from patient to patient. Your surgeon will also discuss with you the merits of each procedure, and show you before and after photos of our patients to assist you in your decision-making process, and show you the achievable outcomes for your body type. Skin quality: The quality and quantity of your skin on the treatment area/s will have an impact on the results you can except to see. Your surgeon will also examine your skin to determine your potential need for revisional surgery, which may be necessary if the skin doesn’t fully retract following the procedure. Scarring: Once Liposuction, liposculpture and lipofill scars have matured over several months, they have the appearance and size of mole removal scars or they are even more imperceptible in some cases. Liposuction and liposculpture are minimal access procedures which use numerous 3 -4 mm access incisions. The lipofill injections are performed using incisions which are typically less than 2 mm. Full disclosure of this information is very important as it may affect the surgery, anaesthesia, potential complications and recovery. Smokers will be advised to stop smoking six weeks before and after surgery and to avoid using products containing nicotine in the two weeks before and after surgery. Your surgeon may also require further diagnostic tests, such as blood tests, to gain a complete picture of your physical health and to assess your suitability for general anaesthetic. Only after your consultation process, and once you have had all your questions and concerns addressed by the surgeon, should you give your consent to liposuction, lipofill or liposculpture. In Australia, surgeons are strongly discouraged from advertising set prices for medical procedures (as outlined by the Australian Medical Board guidelines for advertising of regulated health services). During your consultation with one of our surgeons, you will be provided with a tailored cost of your procedure. You may also call our clinic before your first appointment to discuss approximate out-of-pocket expenses and applicable Medicare rebates. Please contact us on 03 9088 5000 or via our online contact form to find out more. The cost of your initial consultation with a surgeon is $175 ($225 for weekend consultations), a portion of which may be claimed from Medicare where eligible and with a referral from your GP. You will be under general anaesthetic administered by a Specialist Anaesthetist in an accredited hospital. For the safety of our patients, NorthEast Plastic Surgery does not use twilight sedation, as it has been associated with adverse clinical outcomes. Prior to surgery, your surgeon will discuss with you the nature and placement of the scars. However, liposuction is associated with only very small, sometimes virtually imperceptible, scarring. The number of incisions required varies from patient to patient, and depends on the size of the area being treated. The surgeon makes very small access incisions to the area, and then inserts a cannula which uses suction to break up and remove the fat. At NorthEast Plastic Surgery, we use a specialised liposuction device called a “Microaire” which results in superior fat extraction with reduction in soft tissue trauma. The wounds are closed with external stitches, which you will have removed a week after surgery at a post-operative consultation. To support the tissues and minimise swelling and bruising, you’ll be given a compression garment which should be worn for several weeks following surgery. Your wounds will be dressed with waterproof dressings to allow for showering. Patients can usually go home on the same day as surgery. Swelling and bruising increases over the first week, and improves between six to eight weeks, but may take several months for the swelling to subside completely. It will also take some months for the fat grafted areas to take their desired appearance and for the skin to fully retract. It’s also normal for the overlying skin to feel numb for a few months following the procedure. Once discharged, you’ll be prescribed with pain medication and antibiotics, which will assist in minimising your discomfort and staving off infection. You will need to monitor yourself closely for severe discomfort not assisted by pain medication, excessive bleeding that soaks through dressings, redness of the operated area/s, or high temperatures exceeding 38 degrees celcius. If you experience any of these after surgery, it’s important to contact the surgeon straight away. Your dressings will be changed as appropriate during post-operative consultations and your wounds are likely to heal within a week of surgery. You should move carefully to allow your wounds to heal and you will be able to commence driving once you’ve stopped taking all pain medication. After six to eight weeks, you may resume strenuous exercise; however, ensure to protect yourself from any trauma, such as knocks or hits, to the site. Many patients find they can return to work a week after surgery. Your surgeon will provide you with instructions on scar management strategies, such as taping, silicone gel sheeting and low level laser therapy and massage to assist you in reaching your desired result as soon as possible. They will take every possible measure to ensure you are left with minimal scarring. However, the degree of scar formation is an individual phenomenon, and will vary from patient to patient. Due to soft tissue swelling, you may not see the full effects of liposuction, lipofill or liposculpture until many months after your surgery. Due to patient privacy, we do not share our patients’ before and after photos on our website. However, you may view them during your consultation with a surgeon, to help you decide whether liposuction is right for you.